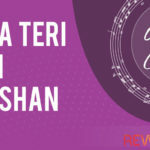 Bhula Diya Guitar Chords by Darshan Raval | On this wet day (It’s raining in Delhi, India), the Darshan Raval has released his valentines day special song for all the lovers out there. 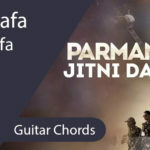 In this article, we have shared the bhula diya lyrics and chords. The lyrics of Bhula Diya song are penned by AM Turaz and the vocals of Darshan Raval are flowing over the music composition of Anurag Saikia. 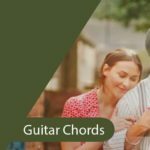 As we have shared the guitar chords in this song so you might be interested to know a bit more about instruments and musicians involved in this song. The acoustic and electric guitar part is being played by Ishan Das and on the wind instrument (flute) we have Tejas Vinchurkar and on the bass we have Abhinav Bora. This song is also being supported with the backing vocals by Kavya Daga & Kriti Daga. If we talk about the chord progression then this song is in Am scale and we have used total 10 chords to play the song (C, E, Am, Dm, G, F, Em, Cm, D#, Fm), but the Cm, D# & Fm will be played only in the last paragraph. We suggest you play the song with the D D UUUDUD as the strumming pattern where D is Down Stroke and U is Up Stroke.